Dua-Dua End Table is simple side table completed with 2 drawers and 2 shelves. 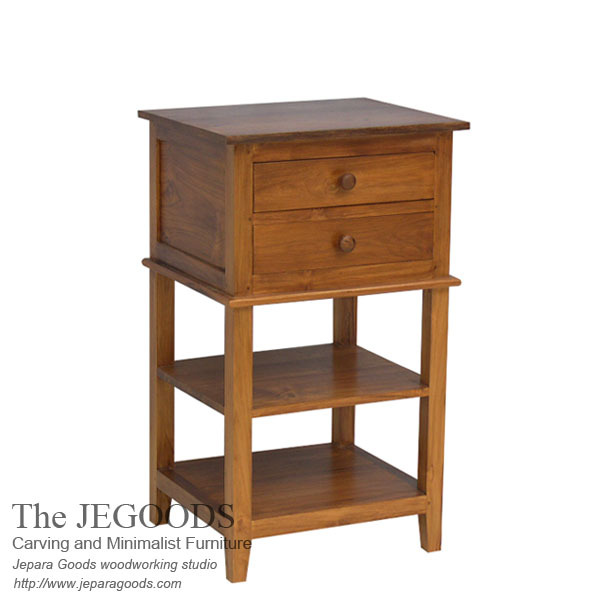 Beautifully made of teak solid by the Jegoods Woodworking Studio Indonesia. A group of experienced wood craftsmen produced furniture with best traditional hand-made construction method in Jepara, Central Java. We care about every detail and our furniture are durable in time.